 For ten years now Hipmarrakech has specialised in helping English speaking holidaymakers make the most of Marrakech. The most important aspect is matching you to your accommodation. We are intimately familiar with every one of the Riads we offer, please call us for advice and we will talk about them from personal experience explaining the basis of our recommendations. Our luxurious Marrakech Riads provide an authentic style of Marrakech accommodation in ancient Medina, the heart of this exotic city. Marrakech, buzzing with life, is set against the backdrop of the magnificent Atlas Mountains. Marrakech is a place which floods the senses with strange and overwhelming sights, sounds and smells, casting a heady spell over the unsuspecting traveller. Marrakech is the place where Africa meets Arabic culture, and boasts a great selection of restaurants with an amazing ambience unique to Marrakech. 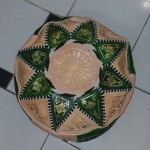 Each Marrakech accommodation will arrange for you to be met at the airport (15-20 minutes ride to Marrakech Medina). 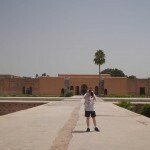 You can book tours directly through Hip Marrakech, or locally with you riad. Information on flights, Moroccan trains or rail etc. can be found on our travel information page. 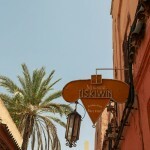 Information on Restaurants in Marrakech can be found on our restaurant guide. The location of your riad can be viewed on the Location Tab for each riad. A map of Marrakech can be seen on our Marrakech page. From magical Weddings in the heart of the Medina to relaxing Yoga and Wellness retreats, and from tailor-made Corporate Events to unique Hen Parties or Birthdays, here at Hip Marrakech we a bespoke events planning service. We can help organise everything including venue hire, accommodation, entertainment and catering. Our dedicated team are on hand to ensure your desires and needs are met. A whole Riad rental is a fantastic way to enjoy Marrakech whether with a group of family or friends. The hipmarrakech team will be delighted to help you to select a riad that best matches your needs. Make contact today! The base rate price is in pounds, euros or dirhams, and exchange rates are approximate. All prices are based on two people sharing a room in a riad and include breakfast and tva (VAT). Most riads in Marrakech add local taxes which are generally about £2 per day per person, but vary from riad to riad. Marrakech is a must see destination for anyone planning a holiday in Morocco. All of our Marrakech accommodations listed on this site offer one night stop-overs as well as longer stays. Why not extend your holiday in Morocco and look at Hip Morocco for details of Riads in Essaouira, Riads in Oualidia, Riads in Fez, Riads in Ouarzazate, Riads in Ourika Valley, or Riads Agadir and Riads Taroudant.